Promoting optimal mobility, physical activity and overall health and wellness; Preventing disease, injury, and disability; Managing acute and chronic conditions, activity limitations, and participation restrictions; Improving and maintaining optimal functional independence and physical performance; Rehabilitating injury and the effects of disease or disability with therapeutic exercise programs and other interventions; and Educating and planning maintenance and support programs to prevent re-occurrence, re-injury or functional decline. Physiotherapists are able to evaluate, diagnose and treat a range of illnesses, injuries and disabilities to help you heal. You do not need a referral from a Doctor to see a Physiotherapist. Arthritis, Pre/Post joint replacement surgery, Postural correction, Sports and running injurys, Repetitive strain injury, Disc bulge and nerve pain, Whiplash injury, TMJ dysfunction, Postnatal core retraining and Diastasis Recti, Pelvic dysfunction, Mechanical back and neck pain, Plantar fasciitis, Bursitis. Acupuncture, Manual therapies, Trigger point and soft tissue release, Exercise prescription, Gait retraining, Athletic taping, Ultrasound, TENS, Muscle stim. The initial Physiotherapy assessment and treatment is for all first time Physiotherapy patients to Harbour Health. 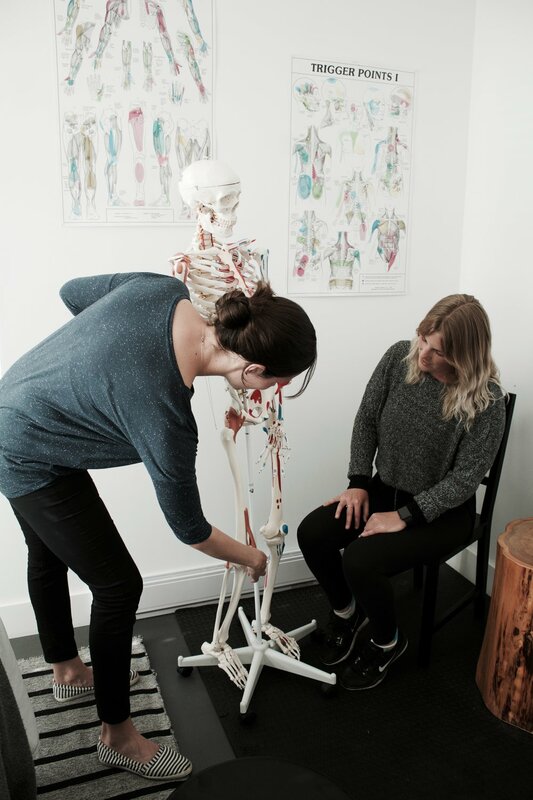 It includes history and assessment as well as a combination of hands on treatment, Physiotherapy modalities, Acupuncture, and home exercises. Please bring shorts if your injury is to your lower extremity and for women a tank top with a low back if your injury is to your shoulder, upper back or neck. Please complete the initial history forms online in advance of your appointment. Thank you. Follow up appointments are for patients who have already had an initial assessment by a Physiotherapist at harbour health. It will involve continued assessment and build on exercises and treatments provided in the initial visit. Book online by clicking here or call the Ucluelet Physiotherapy clinic (250) 723-5112.